New data has shown that car dealerships across the UK saw a 25 per cent increase in telephone enquiries in March, reports AM Online. 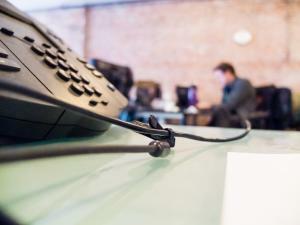 The data comes from call handling specialist Moneypenny, which said that a like-for-like analysis of its automotive calls saw a 25 per cent rise in March compared to the previous month. Moneypenny is the leading provider of call handling in the UK, so the data should be considered significant for the car dealership market. What’s more, this analysis comes on the back of record new car sales in March 2016. With enquiries up and car sales booming, you may be thinking of adding more stock to your showroom to meet the increased demand. As part of this process, car dealerships should ensure they regularly update their motor trade insurance, so it provides the appropriate level of cover. Ben Stevens, the automotive business development manager at Moneypenny, said: “We typically see a rise in calls when new registration plates are released, but last month was our busiest yet.